Member of Parliament, Kåre Simensen, says it is time to arrange bilateral meetings on high-level with Russia. Our faces have been turned away from each other too long now, he argues. Norway decided to freeze political talks on Minister-levels after Russia’s annexation of Crimea in March 2014. Since then, no Ministers from Oslo have visited Moscow. Kåre Simensen represents the Labour Party from Finnmark, Norway’s only county with border to Russia in the north. “I think we so far have turned our back on each other too much in the period after the Ukrainian crises. We should meet more face to face and talk together. That is my advice,” Simensen says. He points to U.S. – Russian relations as a good example to follow. The Foreign Ministers of the two countries meet and have bilateral talks. Norway’s Foreign Minister has not visited Moscow since January 2014. Last time Sergey Lavrov visited Norway, was in October last year at the 70 years anniversary of the Red Army’s liberation of Finnmark. EU countries are preparing to extend the economic sanctions on Russia by another six months from December. Simensen believes it is important that Norway follows EU’s sanctions, but underlines that the Parliament must be consulted in each single case. According to sources speaking to EUObserver, France, Germany, Italy, the UK and the US agreed on a six-month extension on the sanctions in the margins of the G20 summit in Turkey two weeks ago. Although not being a EU-member state, Norway is following the sanctions regime word-by-word. Moscow’s imposed countermeasures of the sanctions have hit Norway’s seafood industry hard, as Russia was a top market for fish export. “The economical pressure on Russia can by itself be challenging – not only for Russia – but also outside. I believe we have to discuss the effect of the sanctions in light of the negative economical development in Russia,” Kåre Simensen says. A few months before Russia’s annexation of Crimea, Simensen initiated a friendship association with the Russian State Duma. At Stortinget, the Norwegian Parliament, the association has members from different parties and the dialog with Moscow goes on. “In late winter, we plan for a joint parliamentarian meeting. 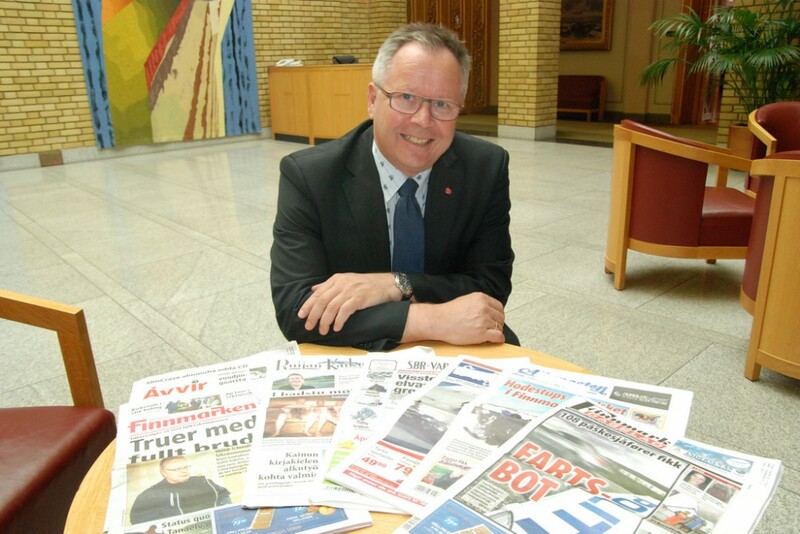 I hope we will succeed,” Kåre Simensen says - promoting dialog instead of giving Russia a cold shoulder.